Air Conditioner Coil Cleaning & Replacement, Naples, FL. We offer air conditioner coil cleaning to the residents of SWFL including Naples and Fort Myers, Florida. The coil of your air conditioning system helps cool the air in your home or business, and when dust and debris build up on the coils, the system cannot cool as efficiently. As a result, your energy bills may increase, or your system may be damaged. How do the evaporator coils work to keep my home or business cool? As your air conditioning system circulates air, the coils are filled with gas refrigerant. As warm air passes the coils, the heat from the air is absorbed by the coils and delivered to the condenser. As the coils work to cool the air, water condenses on the coils. The moisture attracts dust and contaminants in the air, which can coat the coils. As air passes the coils, the refrigerant cannot remove the heat as effectively. How do the technicians from Pure Air perform the air conditioner coil cleaning services? The high humidity levels in Florida mean that your air conditioner coils have higher condensation levels than in other parts of the country. Our technicians specialists in air conditioner coil cleaning in the Naples and Fort Myers, Florida, area. During our service appointment, we clean the condenser coils and the evaporator coils. The technician shuts off your system, including the condenser. Outside your home, the condenser cover and cage are removed. The technician cleans any debris from inside the unit and around the base of the unit. Using a special tool, the technician straightens any fins that are crooked. The coils are cleaned with a special mixture. 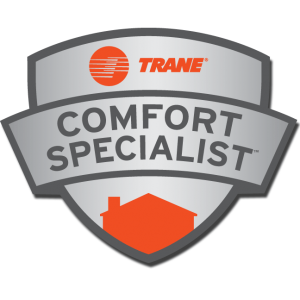 Inside your home, the technician uses special tools to gain access to your evaporator coil. The evaporator coil is cleaned with a special cleaning solution.